“When I shopped in Israel, I noticed that all the chickens were split open. I like to roast my chicken whole and stuff the inside, but you can’t do this once the chicken is split open. When I asked the butcher for an explanation, he told me that all the mehadrin hechsherim split the chicken open before koshering. What does a split chicken have anything to do with kashrus? In several places, the Torah proscribes eating blood. Blood is the transporter of nutrients to the entire body, and therefore blood must flow through all parts on an animal. If so, how can we possibly extract the prohibited blood from meat and still have edible meat? The Gemara and the halachic authorities provide the guidelines how to properly remove the forbidden blood from the allowed meat. The process begins during the butchering, when one is required to remove certain veins to guarantee that the blood is properly removed (Chullin 93a; Shulchan Aruch Yoreh Deah 65:1). After these veins are removed, there are two methods of extracting the blood from the meat. 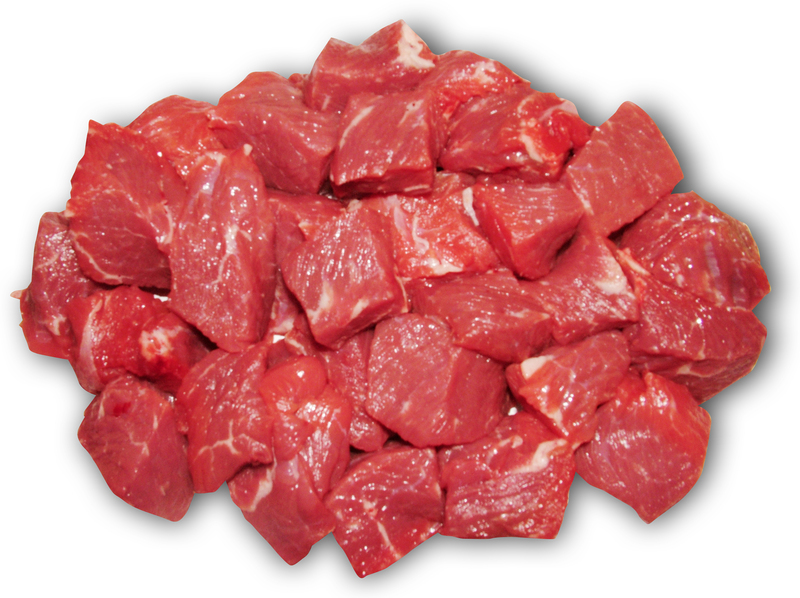 One is by soaking and salting the meat, which is what we will discuss in this article. In practical terms, the first approach, usually referred to as kashering meat, involves soaking the meat for thirty minutes, shaking off the excess water, salting the meat thoroughly on all sides, and then placing it for an hour in a way that the blood can drain freely. A bird should be placed with its open cavity downward so that the liquid drains off as it is koshering, and similarly, a piece of meat with a cavity, such as an unboned brisket, should be placed with its cavity draining downward. One may stack meat that one is koshering as high as one wants, as long as the liquid can drain off the meat properly. After the salting is complete, the meat is rinsed thoroughly in order to wash away all the blood and salt. The poskim instruct that one should rinse the meat three times (Rama, Yoreh Deah 69:7). Until fairly recently, every Jewish daughter and housewife soaked and salted meat as part of regular meal preparation. Today, the koshering of meat is usually performed either in the meat processing plant or by the butcher. Still every housewife should know how to kasher meat before it becomes a forgotten skill, reserved only for the specialist! Case in point: A talmid of mine is doing kiruv in a community that does not have a lot of kashrus amenities, but happens to be near a kosher abattoir. Because of necessity, he and his wife are now proficient in the practical aspects of koshering their own meat, a skill that they were fortunate to learn. For these reasons, when I taught in Beis Yaakov, I made sure that the girls knew how to kasher meat, although, frankly, I was quite appalled to find out how little they knew about the process. In those days, most of their mothers still knew how to kasher meat, but today, even the mothers and teachers of Beis Yaakov students no longer necessarily know how. On the other hand, I am reminded of the time some Iranian talmidim of Ner Yisrael spent Pesach at a university in Oklahoma to be mekareiv Jewish students. Although the students, natives of Shiraz, Tehran and other Iranian cities, were no longer observant, they all assisted in the koshering of the chickens for the Seder. Every one of them remembered exactly how to kasher meat! Why do we Soak our Meat? “Shmuel said: The meat does not rid itself of its blood unless it is well salted and well rinsed.” The Gemara subsequently explains that the meat must be rinsed both before the salting and afterwards. We well understand why we must rinse away the salt after koshering the meat, since it is now full of forbidden blood. But why does one need to rinse the meat before koshering the meat? And why emphasize that it must be “well rinsed”? Soaking the meat softens it so that the salt can now remove the blood. If the meat is not saturated thoroughly with water, the salt will not successfully extract the blood from the hard meat, and the meat remains prohibited (Ran). According to this reason, the Gemara’s instruction that the meat is “well rinsed” requires not simply rinsing the surface of the meat, but submerging the meat. The later authorities interpret that one should soak the entire meat for a half hour to guarantee that it is soft enough for the salt to extract the blood (see Darchei Moshe 69:1, as explained by Gr”a, 69:4). The authorities dispute whether one is required to submerge the entire piece of meat. Some contend that if part of the meat remained above the water, it will become softened by the water absorption of the lower part of the meat (Pischei Teshuvah 69:5). Others maintain that the upper part will not soften this way and one must submerge the piece of meat entirely (Yad Yehudah, Peirush HaAruch end of 69:10; Darkei Teshuvah 69:20). Once, when I was inspecting a butcher shop, I observed that after the meat was completely soaked, the mashgiach noticed that one piece had not been properly butchered – the butcher had failed to remove a vein that one is required to remove. The mashgiach took out his knife and sliced away the offending vein. Was the butcher now required to soak the meat for an additional half hour or was it sufficient to rinse the meat before kashering it? The answer is that one must rinse the newly sliced area well to remove any blood, but one is not required to soak the meat for an additional half an hour since the meat is now nice and soft and its blood will drain out freely. A third opinion contends that one must rinse the meat before salting it because salting meat when there is blood on its surface will cause the blood to absorb into the meat. Like the second approach, this opinion also believes that the reason meat is rinsed before salting is to remove the blood on the surface. However, this opinion holds that not rinsing blood off the surface entails a more serious concern. If blood remains on the surface of the meat when it is salted, this blood will absorb into the meat and prohibit it. Therefore, if someone salted the meat without rinsing it off, the meat is now prohibited, and resoaking and resalting it will not make it kosher. According to the other reasons we have mentioned, one who failed to soak or rinse the meat before salting it may rinse off the salt, soak (or rinse) the meat properly and then salt it. The Shulchan Aruch (69:2) rules that if one salts meat without rinsing it first, he may rinse off the salt and resalt the meat. The Rama rules that one should not use the meat unless it is a case of major financial loss. Another Rishon, the Rosh, contends that the reason why one must rinse the meat before salting it is because the salt does not remove the blood properly unless the meat surface is moist (Rosh). Although this approach may appear similar to the Ran’s approach that I mentioned first, the Ran contends that the entire piece of meat must be soaked in order to soften it so that its blood will be readily extracted, whereas the Rosh requires only that the surface be moist at the time of the salting. Therefore, the Rosh does not require that the meat be soaked at all, certainly not for half an hour. On the other hand, if the meat soaked for a half-hour and then was dried or sliced, the Rosh would require one to moisten the dry surface so that the salt will work. In this last case, the Ran would not require re-rinsing the surface since the meat already soaked for half an hour. In practical halacha, we lechatchilah prepare meat according to all opinions, and for this reason we soak all meat for half an hour before salting. We then drain off some of the water before salting so that the meat is moist but not dripping (Rama 69:1). If the meat is too wet, the salt will not do its job. How thick must I salt the meat? The Gemara states that one must salt the meat well, just as it mentions that one must wash it well. What does this mean that I must salt it well? Some authorities require that the meat be covered with salt, whereas others rule that it is satisfactory to salt it sufficiently that one would not be able to eat the meat without rinsing it off. The meat needs to be salted on only one side, and this satisfactorily removes the blood (Tur’s interpretation of Rashba). One should preferably salt the meat on both sides, but if one failed to do so, the meat is kosher (Beis Yosef’s interpretation of Rashba). If the meat is not salted on opposite sides, one will not remove all the blood and the meat is prohibited for consumption (Rama). The Shulchan Aruch concludes that one should preferably salt the meat on both sides, but if one failed to do so, the meat is kosher. However, the Rama rules that under normal circumstances one should consider the meat non-kosher. Under extenuating circumstances, or in case of great loss, the meat is kosher (Taz). According to all opinions, if one stacks two pieces of meat, one atop another, and salts only one of the pieces, the blood was not removed from unsalted piece. Even if one contends that salting meat on one side of a piece will draw out all the blood in that piece, it does not draw out the blood from a different piece that the salted piece is lying on. Similarly, if one is koshering two organs, such as the heart and the lung, salting one piece does not draw the blood out of the other piece. This is true even if the two organs are still connected together (see Pri Megadim, Mishbetzos Zahav end of 15). Salting a bird only on the outside is similar to salting a piece of meat on only one side, because there is an open cavity in the middle. For this reason, one is required to salt a bird on the inside of the open cavity also and cannot simply salt the outside of the bird. How does one kasher a chicken or any other bird? If one salts the outside of the chicken, one has salted the bird on only one side, since the inside cavity was not salted. The Shulchan Aruch answers that one places salt on the inside cavity of the chicken. The Pri Megadim records a dispute among earlier authorities whether one is required to cut through the breast bone of a bird before koshering it. The Shulchan Aruch rules that one is not required to cut through the breast bone of a bird before koshering it, but can rely on placing salt inside the cavity. The Beis Hillel adds that cutting through the breast bone of the bird to make the cavity most accessible is not even considered a chumrah that one should try to observe. However, the Beis Lechem Yehudah rules that one is required to cut through the breast bone before koshering. His reasoning is that one who does not cut through the bone must rely on pushing salt into the cavity and that people tend to not push the salt sufficiently deep into the cavity. The Pri Megadim agrees with the Beis Lechem Yehudah, and mentions that he required his family members to cut through the breast bone to open the cavity before salting poultry, because it is impossible to salt properly all the places in the internal cavity without splitting the chicken open. (Although the Pri Megadim uses the term “split in half,” I presume that he means to open the chicken’s cavity. There seems no reason to require one to cut the entire chicken into two pieces.) Furthermore, several of the internal organs – including the lungs, kidneys, and spleen — are often not salted properly when salting without splitting open the cavity. It is for this reason that mehadrin shechitos in Eretz Yisrael all cut through the bone before salting the chickens, although one can note from the Pri Megadim’s own comments that this was not standard practice. By the way, we can also understand some of the reasons why someone would take on a personal chumrah to eat meat or chicken only if it was koshered at home. Among the reasons that he would be makpid is better control of the koshering, guaranteeing that the chickens are split before they are salted, and making certain that the chickens are placed with their cavities down. At this point, I would like to return to our opening explanation, when I mentioned the mitzvah of salting korbanos that are burnt on the mizbeiach. As I alluded to above, although both items are salted in a similar manner, the purpose is very different. The salting of our meat is to remove the blood, this blood and salt is then washed away, whereas the salted offerings are burnt completely with their salt. Several commentaries note that salt represents that which exists forever, and can therefore represent the mitzvos of the Torah, which are never changed. In addition, the salt used for the korbanos must be purchased from public funds, from the machatzis hashekel collection, demonstrating that this responsibility to observe the mitzvos forever is communal and collective (Rav Hirsch). In parshas Korach, the Torah calls the covenant of the kohanim a bris melach, a covenant of salt. In parshas Tzav, the Torah presents both a positive and a negative mitzvah requiring that we salt meat and all other offerings that are placed on the fire of the mizbeiach. These must be salted on all sides (Menachos 21a). Someone who places any offering on the mizbeiach without salting it first abrogates a mitzvas aseh, and furthermore is subject to malkus for violating a lo saaseh. As long as our Beis Hamikdash remains destroyed, we unfortunately cannot fulfill this mitzvah. Nevertheless, I will use these opportunities to discuss the basic laws of kashering meat, notwithstanding that the salting of kosher meat accomplishes a completely different purpose than does salting korbanos. In several places, the Torah proscribes eating blood. Blood is the efficient transporter of nutrients to the entire body and permeates the animal’s flesh while it is still alive. Thus, blood is absorbed throughout the meat. If so, how can we possibly extract the prohibited blood from the permitted meat? The Gemara and the halachic authorities provide the guidelines how to properly remove the forbidden blood. The process begins during the butchering, when one is required to remove certain veins to guarantee that the blood is properly removed (Chullin 93a; Shulchan Aruch Yoreh Deah 65:1). After these veins are removed, there are two methods of extracting the blood from the meat. One is by soaking and salting the meat, which is what we will discuss in this article. In practical terms, the first approach, usually referred to as kashering meat, involves soaking the meat for thirty minutes, shaking off the excess water, salting the meat thoroughly on all sides, and then placing it for an hour in a way that the blood can drain freely. A bird should be placed with its open cavity downward so that the liquid drains off as it is kashering; similarly, a piece of meat with a cavity, such as an un-boned brisket, should be placed with its cavity draining downward. One may stack meat that is being kashered high as one wants, as long as the liquid is able to drain off the meat properly. After the salting is complete, we rinse the meat thoroughly, in order to wash away all the blood and salt. The poskim instruct that one should rinse the meat three times (Rama, Yoreh Deah 69:7). Until fairly recently, every Jewish daughter and housewife soaked and salted meat as part of regular meal preparation. Today, the kashering of meat is usually performed either in the factory or by the butcher. Still, every housewife should know how to kasher meat, before it becomes a forgotten skill, reserved only for the specialist! Case in point: A talmid of mine is doing kiruv in a community without a lot of kashrus amenities, but that happens to be very near a kosher abattoir. Because of necessity, they are now proficient in the practical aspects of kashering their own meat, a skill that they were fortunate to learn. Thus, we see another example of the importance of being able to kasher meat yourself. For these reasons, when I taught in Beis Yaakov, I made sure that the girls knew how to kasher meat, although frankly I was quite appalled to find out how little they knew about the process. In those days, most of their mothers still knew how to kasher meat, but today, even the mothers and teachers of Beis Yaakov students no longer know how to do so. On the other hand, I am reminded of the time some Iranian talmidim of Ner Yisrael spent Pesach at a university in Oklahoma to be mekareiv Jewish students. Although the students, natives of Shiraz and Tehran, were no longer observing many mitzvos, they all assisted in the kashering of the chickens for the Seder. Every one of them remembered exactly how to kasher meat! “Shmuel said: The meat does not rid itself of its blood unless it is well salted and well rinsed.” The Gemara subsequently explains that the meat must be rinsed both before the salting and afterwards. We well understand why we must rinse away the salt after kashering the meat, since it is now full of forbidden blood. But why does one need to rinse the meat before kashering the meat? And why emphasize that it must be “well rinsed”? Soaking the meat softens it, so that the salt can now remove the blood, but if the meat is not saturated thoroughly with water, the salt will not successfully extract the blood from the hard meat, and the meat remains prohibited (Ran). According to this reason, the Gemara’s instruction that the meat is “well rinsed,” requires not simply rinsing the surface of the meat, but submerging the meat. The later authorities interpret that one should soak the entire piece of meat to be kashered for half an hour, to guarantee that it is soft enough for the salt to extract the blood (see Darchei Moshe 69:1; as explained by Gra, 69:4). The authorities dispute whether one is required to submerge the entire piece of meat. Some contend that if part of the meat remained above the water, one is not required to submerge the meat that remained above the water line, since it will become softened by the water absorption of the lower part of the meat (Pischei Teshuvah 69:5). Others maintain that the upper part will not soften this way, and one must submerge it for half an hour before salting the meat (Yad Yehudah, Peirush HaAruch end of 69:10; Darkei Teshuvah 69:20). A second approach to why the meat must be rinsed well contends that one must rinse blood off the surface of the meat, because, otherwise, this blood will impede the ability of the salt to remove the blood that is inside the meat (Mordechai). This approach, as well as all the others that the Pri Megadim quotes, does not require submerging the meat, but merely rinsing the surface well. However, according to this approach, if the meat was submerged for half an hour and then afterwards someone sliced into the meat, one must rerinse the area that was now cut. Failure to rerinse the newly cut area will result in making it impossible for the salt to remove the blood properly (Pri Megadim). Once, when I was inspecting a butcher shop, I observed that after the meat was completely soaked, the mashgiach noticed that one piece had not been properly butchered – the butcher had failed to remove a vein that one is required to remove. The mashgiach took out his knife and sliced away the offending vein. But, is one now required to soak the meat for an additional half hour or to rinse it before kashering it? The answer is that one must rinse the newly sliced area well to remove any blood, but one is not required to soak the meat for an additional half an hour, since the meat is now nice and soft and its blood will drain out freely. A third opinion why the meat must be rinsed well before salting contends that salting meat when there is blood on its surface will cause the blood to absorb into the meat, thus prohibiting it. This approach also believes that the purpose for rinsing the meat before salting is to remove the blood on the surface. However, this opinion holds that not rinsing blood off the surface entails a more serious concern. If blood remains on the surface of the meat when it is salted, this blood will absorb into the meat and prohibit it. According to this reason, if someone salted the meat without rinsing it off, the meat is now prohibited, and resoaking it and salting it will not make it kosher. According to the other reasons we have mentioned, one who failed to soak or rinse the meat before salting it may rinse off the salt, soak (or rinse) the meat properly and then salt it. The Shulchan Aruch (69:2) rules that if one salts meat without rinsing it first, he may rinse the salt off the meat and re-salt the meat. The Rama rules that one should not use the meat, unless it is a case of major financial loss. Another Rishon, the Rosh, contends that the reason why one must rinse the meat before salting it is because the salt does not remove the blood properly unless the meat surface is moist. Although this approach may appear similar to the Ran’s approach that I mentioned first, the Ran contends that the entire piece of meat be soaked in order to soften it so that its blood will readily extract, whereas the Rosh requires only that the surface be moist at the time of the salting. Therefore, the Rosh does not require that the meat be soaked at all, certainly not for half an hour. On the other hand, if the meat soaked for a half-hour, and then was dried or sliced, the Rosh requires one to moisten the dry surface so that the salt will work. In this last case, the Ran does not require re-rinsing the surface, since the meat already soaked for half an hour. In practical halacha, we, lechatchilah, prepare meat according to all opinions, and for this reason we soak all meat for half an hour before salting, but we drain off some of the water before salting it, so that the meat is moist but not dripping (Rama 69:1). If the meat is too wet, the salt will not do its job. The Gemara quoted above states that one must salt the meat well, just as it mentions that one must wash it well. What does this mean, that I must salt it well? The Shulchan Aruch concludes that one should preferably salt the meat on both sides, but if one failed to do so, the meat is kosher. However, the Rama rules that under normal circumstances, one should consider the meat non-kosher. Under extenuating circumstances, or in case of great loss, the meat is kosher (Taz). Similarly, if one is kashering two organs, such as the heart and the lung, salting one piece does not draw the blood out of the other piece. This is true, even if the two organs are still connected together (see Pri Megadim, Mishbetzos Zahav end of 15). Salting a bird only on the outside is similar to salting a piece of meat on only one side, because there is an open cavity in the middle. For this reason, one is required to salt a bird on the inside of the open cavity, also, and cannot simply salt the outside of the bird. How does one kasher a chicken or other bird? If one salts the outside of the chicken, one has salted the bird on only one side, since the inside cavity was not salted. The Shulchan Aruch answers that one places salt on the inside cavity of the chicken. The Pri Megadim records a dispute among earlier authorities whether one is required to cut through the breast bone of a bird before kashering it. The Shulchan Aruch rules that one is not required to cut through the breast bone of a bird before kashering it, but can rely on placing salt inside the cavity. The Beis Hillel adds that cutting through the breast bone of the bird to make the cavity most accessible is not even considered a chumrah that one should try to observe. However, the Beis Lechem Yehudah rules that one is required to cut through the breast bone before kashering. His reasoning is that one who does not cut through the bone must rely on pushing salt into the cavity and that people tend not to push the salt sufficiently deep into the cavity. The Pri Megadim agrees with the Beis Lechem Yehudah, and mentions that he required his family members to cut through the breast bone to open the cavity before salting poultry, because it is impossible to salt properly all the places in the internal cavity without splitting the chicken open. (Although the Pri Megadim uses the term “split in half,” I presume that he means to open the chicken’s cavity. There seems no reason to require one to cut the entire chicken into two pieces.) Furthermore, several of the internal organs – including the lungs, kidneys, and spleen — are often not salted properly without splitting open the cavity. It is for this reason that mehadrin shechitos in Eretz Yisrael all cut through the bone before salting the chickens, although one can note from the Pri Megadim’s own comments that this was not standard practice. By the way, we can also understand some of the reasons why someone would take on a personal chumrah to eat meat only if it was kashered at home. Among the reasons that he would be makpid is better control of the kashering, guaranteeing that the chickens are split before they are salted, and making certain that the chickens are placed with their cavities down. At this point, I would like to return to our opening explanation, when I mentioned the mitzvah of salting korbanos that are burnt on the mizbeiach. As I alluded to above, although both items are salted in a similar manner, the purpose is very different. Whereas the salting of our meat is to remove the blood, this blood and salt is washed away. The salted offerings, on the other hand, are burnt completely with their salt. Several commentaries note that salt represents that which exists forever, and can therefore represent the mitzvos of the Torah, which are never changed. In addition, the salt used for the korbanos must be purchased from public funds, from the machatzis hashekel collection, demonstrating that this responsibility to observe the mitzvos forever is communal and collective (Rav Hirsch). Shem, the son of Noach, was traveling one day and realized that he had not packed enough peanut butter sandwiches for the trip. Now hungry, he witnessed a travel accident, the result of which was that an animal had been killed. Was he permitted to cook the carcass for lunch? Shem’s descendant, Linda, lives in the modern era, and is Jewish. While traveling in an unfamiliar area, she hunts for kosher meat, discovering some with an unfamiliar supervision, and calls her rabbi to ask whether he recommends it. What factors does he consider in advising her whether to use this product? In a previous position, I was responsible for researching sources of meat that our local Vaad HaKashrus would accept. I traveled to many cities, and visited many meat packing facilities. People have often asked why sometimes my hunt resulted in a new acceptable source, and why sometimes it did not. What was I looking for? Before answering these questions, we need to understand what the Torah’s requirements for allowable meat are. There is no charge for receiving these articles, we do not share our lists, and your confidentiality will be honored. If you would prefer not receiving future articles, take no action at all. We will not and cannot add your name to our list without your approval and I do not believe in sending people material they do not wish to receive. When Noach emerged from the teivah (the ark), Hashem told him that he and his descendants may now eat meat for the very first time. According to some authorities, prior to this time, no one was permitted to sink his teeth into a steak or even a schnitzel (Sanhedrin 59b, based on Bereishis 1:29-30, 9:3; as interpreted by Rambam, Hilchos Melachim 9:1 and Gur Aryeh, Bereishis 1:29). In actuality, not all authorities agree that Adam and his pre-mabul descendents were required to be vegetarian – some maintain that they were permitted to eat the meat of animals that had already died, and were forbidden only from killing animals for meat (Tosafos, Sanhedrin 56b s.v. achal; Rashi, Bereishis 1:29 and Sanhedrin 57a s.v. limishri basar, as understood by Mizrachi, Bereishis 1:29, cf. Gur Aryeh ad loc.). According to this opinion, pre-Noach mankind may have eaten a steak or schnitzel provided that they did not take the animal’s life. Thus, whether Adam could barbecue road kill depends upon whether he held like Tosafos, in which case he could, or like the Rambam, in which case he could not. Otherwise, he was restricted to a vegetarian diet, which may have included the responsibility to check that his veggies were insect-free. Presumably, he called the local Vaad HaKashrus to determine how to check each type of vegetable. I wonder what he did when he wanted to eat Brussels sprouts, particularly since he probably lived before the invention of the light box! However, when Noach emerged from the teivah, he and his descendents were permitted to give up their vegetarian lifestyle, provided that they ate no meat that had been removed from an animal while it was still alive (eiver min hachai). Just think, had Sheis lived after the time of Noach, he could have included some tuna sandwiches in his lunchbox, or picked up a few tins of sardines at the local grocery, instead of going hungry! In the contemporary world, guaranteeing that one’s meat is appropriate for the Jewish table involves several trained and G-d-fearing people, including shochatim, bodekim, menakerim, mashgichim, and knowledgeable rabbonim to oversee the entire process. Aside from the shocheit’s obvious responsibility to slaughter the animal the way Hashem commanded, he must also fulfill another very important task: following the slaughtering, he must verify that he performed the shechitah correctly. This is a very important step – without this inspection the animal or bird must be considered non-kosher – it will be acceptable for the table of Bnei Noach, but not for Klal Yisroel. A common controversy in today’s modern packing facility is the use of a hydraulically-powered pen to restrain the animal while it is slaughtered. Although this pen usually makes the job safer and easier for the shocheit, there are concerns that the pen itself may render the animal a tereifah prior to its being slaughtered (Besheveilei Shechita). For this reason, no hechsher in Israel allows use of a pen during shechitah, but a different, equally safe and humane, system to restrain the animal is used instead. Next, the animal or bird is examined to ensure that it is not tereifah. Although common use of the word “treif” means non-kosher for any reason whatsoever, the technical meaning of the word refers to an animal with a physical defect that renders it non-kosher even if it was the beneficiary of a proper shechitah. In a meat packing plant (beef, veal or lamb), the individual accountable to check for these defects is called a bodeik (pl. bodekim). Most bodekim are trained shochatim, and, indeed, in many plants the bodekim and shochatim rotate their tasks, thus making it easier for them to be as attentive as the job requires. As a result, a person licensed both as a shocheit and as a bodeik is usually called a shocheit, although technically he should be called a shocheit ubodeik to truly reflect the extent of his training. The responsibility to check for tereifos is divided between two bodekim. The first, the bodeik pnim, checks the lungs in situ, which is the only way one can properly check that the lungs do not adhere in an improper way to the ribs, the membrane surrounding the heart (the pericardium), or to themselves, all of which render the animal non-kosher. This checking is performed completely based on feel. The bodeik gently inserts his hand, and runs his fingers carefully over all eight lobes of the lung to see if he feels any adhesion between the lung and one of the other areas. The second bodeik, the bodeik chutz, rechecks the lungs based on the report of the bodek pnim and makes a cursory check of other organs, particularly the stomachs and intestines, upon their removal from the carcass, for swallowed nails and for various imperfections that render the animal non-kosher. After the two bodekim are satisfied that the animal is kosher, the second bodeik or a mashgiach tags or stamps the different parts of the animal as kosher. In many packing houses, the bodeik or a mashgiach makes small slits between the ribs that specifies the day and parsha of the week to identify that piece as kosher. A mark made when the meat is this fresh appears completely different from one made even a few hours later, making it difficult to counterfeit. Of course, this mark is not sufficient alone to verify that the meat is kosher, but it is an essential crosscheck, since tags can be tampered with. The modern kosher poultry plant is organized slightly differently: The shochatim only perform shechitah, whereas the bedikah inspection is performed by mashgichim trained to notice abnormalities. If they notice any, they remove the bird from the production line; a rav or bodeik then rules whether these birds are kosher or not. The rav hamachishir’s responsibilities include deciding which problems are prevalent enough to require scrutiny and what is considered an adequate method of inspection. Depending on the factory, the next steps in the preparation of beef, veal or lamb are performed either in the same facility where the shechitah was performed, or at the butcher shop. Prior to soaking and salting meat to remove the blood, certain non-kosher parts of the animal, including the gid hanasheh (the sciatic nerve), non-kosher fats called “cheilev,” and certain large blood vessels must be removed (Yoreh Deah 65:1). The Hebrew word for this process is “nikur,” excising, and the artisan who possesses the skill to properly perform it is called a menakeir (pl. menakerim). The Yiddish word for this process is traberen which derives from tarba, the Aramaic word for cheilev, the non-kosher fat. This step is omitted in the production of poultry, since it is exempt from the prohibitions of gid hanasheh and cheilev, and its blood vessels are small enough that it is sufficient to puncture them prior to the soaking and salting procedures. I once investigated the kashrus of a certain well-known resort hotel, one not usually frequented by frum clientele. I called the hotel and asked who provided their hechsher, and was soon on the telephone with both the resident mashgiach and the rav hamachshir. I began by introducing myself and the reason for my phone call, and then asked about the sources of the meat used in the hotel. In the course of the conversation, it became evident that neither the rabbi nor the mashgiach knew the slightest thing about traberen, although they were officially overseeing a staff of in-house butchers, none of whom was an observant Jew. I realized that the rather poor kashrus reputation of this establishment was indeed well deserved. The rabbi overseeing the hechsher himself did not know trabering, nor did he have anyone else halachically reliable supervising. What was he overseeing? Indeed, I have discovered many facilities that do not traber meat properly or even places that do not bother to traber their meat at all. Thus, we have another reason why some products may not be approved for use. Returning to our brief overview of the proper preparations for kosher meat — after the meat has been properly trabered, it is ready to be soaked and salted to remove its blood. In earlier generations, this process, usually called kashering meat, was performed exclusively at home, but today common practice is that this is performed by the butcher or at the abattoir. Almost all kosher poultry operations today soak and salt the meat immediately after shechitah, and this approach is now becoming increasingly more common in beef operations. To kasher meat it should be rinsed well, soaked in water for half an hour, drained properly, salted for an hour, and then rinsed three times (Rama, Yoreh Deah 69:1, 5, 7). The halacha requires that the meat be covered with salt on all exposed surfaces (Yoreh Deah 69:4). Most packing plants that I have seen perform this part of the job effectively, although I have seen places where the salting was inadequate — entire areas of the meat were not salted. This is probably simple negligence; although when I called this problem to the attention of the mashgiach he insisted that it had been performed adequately, notwithstanding my observing the contrary. Needless to say, I did not approve this source. Sometimes, there is also concern about the koshering of poultry. Poultry must also be salted with its meat covered with salt on all its exposed surfaces. There is a dispute among authorities whether a bird’s abdominal cavity must be opened fully to guarantee that it is salted properly (Beis Lechem Yehudah 69:20; Pri Megadim, Mishbetzos Zahav 69:15). Many contend that in modern facilities one should not rely that the employees, many of whom are not Jewish or are not observant of the laws of kashrus, will make sure to salt all exposed areas inside the bird’s cavity. To avoid this problem, one can either have observant staff be responsible to salt the meat, or alternatively, to have a mashgiach check that everything is done properly. The Geonim instituted a requirement that meat be soaked and salted within 72 hours of its slaughter (Yoreh Deah 69:12). This is because of concern that once 72 hours have passed the blood becomes hardened inside the meat and salting no longer removes it. If more than 72 hours passed without the meat being salted, the Geonim ruled that the meat may be eaten only if it is broiled since this process will still remove the blood (Yoreh Deah 69:12). A question that developed with time was whether wetting the meat prevents the blood from hardening inside. Some early authorities permitted soaking meat to extend the 72 hour period (Shach 69:53). However, this leniency often led to highly liberal interpretations. I have seen butchers take a damp rag and wipe the outside of the meat and considered it washed. Thus, there are two different reasons why most reliable kashrus operations do not allow the use of “washed meat,” either because they do not accept this leniency altogether, or because of concern that once one accepts hosed meat, it becomes difficult to control what type of washing is acceptable. Thus far, I have described the tremendous responsibilities of most of the staff necessary to guarantee that the meat is of the highest kashrus standards. One person that I have not adequately discussed is the rav hamachshir, the supervising rabbi, who has the final say on the kashrus standards that the meat packer and butcher follow. Although a rav overseeing meat kashrus does not necessarily have to be a shocheit or a trained menakeir himself, he certainly must be expert in all of these areas, both in terms of thorough knowledge of halacha and in terms of practical experience. For most of Jewish history, the most basic requirement of every rav required him to be proficient in all the halachos of kosher meat production. As the local rav, all shechitah and bedikah in his town was his responsibility. However, in the contemporary world of mass production and shipping, the local shul rav is rarely involved in the details of shechitah, and often has limited experience and training in these areas. Depending on the semicha program he attended, he may not have been required to study the laws of shechitah and tereifos. Thus, what was once the province of every rav has now become a specialty area, and sometimes rabbonim involved in the giving of meat hechsherim lack the proper training. I was once given a tour of a meat packing plant by the supervising rabbi of the plant. During the course of the tour I became painfully aware of the rabbi’s incompetence in this area of kashrus. For example, he was clearly unaware of how to check shechitah knives properly, certainly a basic skill necessary to oversee this type of hechsher. Would you approve this meat supplier for your local Vaad HaKashrus? At this point, I want to address the third question I raised above: Sometimes my visit to a meat packer resulted in a new acceptable source, and sometimes it did not. What was I looking for, and why would I disapprove a source that a different rav was approving? The answers to these questions are sometimes subjective, but I will provide you with some observations of mine. There are many subtle and not-so-subtle observations that a rav makes when examining a meat packer. I could not possibly list in one article all the types of problems I have seen, but I will mention certain specific concerns for which I would always be attentive. Is the production line too quick for the shocheit or mashgiach to do his job properly? Are the shochatim or mashgichim expected to perform their job in an unrealistic manner, either because of a shortage of trained manpower or because of the speed or arrangement of the production line? Are the shochatim knowledgeable? Do they appear to be G-d fearing individuals? Although it is impossible to know whether someone is indeed a yarei shamayim, it is unfortunately often very obvious that he is not. It can indeed happen that one rav has questions about the staff – for this reason, he does not approve a source of supply. I will give you an example that will better elucidate this problem. While visiting a plant to determine whether we should allow this shechitah, the conversation of one of the shochatim showed a shortcoming in tzniyus within his family. Although one cannot point to a specific law that disqualifies him as a shocheit, I personally was uncomfortable entrusting him with decisions that would affect what I eat. After discussion with the other rabbonim in our community, we decided not to accept meat from this shechitah. Does this mean that we considered this meat non-kosher? G-d forbid. It simply means that we were uncomfortable allowing it and decided that we have that responsibility as rabbonim of our community. Thus, it could indeed happen that what one rav considers acceptable another rav feels is not. The differences may be based on the interpretation of halacha, or they may result from a rav’s opinion as to how a plant should be run. Based on the above information we can better understand many aspects of the preparation of kosher meat and why it is important to use only meat that has a proper hechsher. We can also gain a greater appreciation of how hard rabbonim and shochatim work to maintain a high kashrus standard. Now that we recognize the complexity involved in maintaining kosher meat standards, we should always hope and pray that the food we eat meets all the halachic requirements that the Torah commands us. Kosher land animals are divided into two categories, beheimah and chayah. Although beheimah (pl., beheimos) is often translated as domesticated species and chayah (pl., chayos) as wild species, these definitions are halachically inaccurate since whether a species is categorized as a beheimah or as a chayah has no bearing on whether it is domesticated or not. Reindeer, although domesticated, are clearly a chayah since they have branched antlers, whereas there are non-domesticated species, such as bison, that are almost certainly beheimah according to halacha. Answer: This week’s haftarah foretells how, soon in the period of Moshiach, the nations of the earth will follow the Divine light shining on the Jewish people and bring their finest flocks to His altar. No doubt, the sheer quantity of all this livestock available in Yerushalayim will afford the Jewish people the finest choices of meat available for their tables. Also today it is certainly ideal to have a steady supply of kosher meat with all possible hiddurim. However, in some circumstances this is not always feasible. This is where “washed meat” and “frozen meat” may enter the picture; both terms referring to specific cases whose kashrus is subject to halachic dispute. Knowing that Devorah enjoys stories, I told her an anecdote that illustrates what can happen when kosher choices are slim. I was once Rabbi in a community that has memorable winters. Our city was often covered with snow around Rosh Hashanah and on occasion it was still snowing in May. On many occasions, we could not use the sukkah without clearing snow off the schach, something my Yerushalmi neighbors find hard to comprehend. One short erev Shabbos the weather was unusually inclement, even for our region of the country; the major interstate highway and all secondary “state routes” were closed because of a blizzard. The locals call this weather “whiteout” — referring not to mistake correction fluid, but to the zero visibility created by wind and snow. Fortunately, I lived around the corner from shul and was able to navigate my way back and forth by foot. Our house too was, baruch Hashem, sufficiently stocked to get through Shabbos. “Is this Rabbi Kaganoff?” inquired an unfamiliar female voice. I responded affirmatively, even though somewhat apprehensive. People do not call with shaylos late Friday afternoon unless it is an emergency. What new crisis would this call introduce? Perhaps I was lucky and this was simply a damsel in distress inquiring about the kashrus of her cholent, or one who had just learned that her crock pot may fail to meet proper Shabbos standards. Hoping that the emergency was no more severe, I listened attentively. “Rabbi Kaganoff, I was given your phone number in case of emergency.” I felt the first knots in my stomach. What emergency was this when I hoped to momentarily head out to greet the Shabbos queen? Was someone, G-d forbid, caught in the storm! I was certainly unprepared for the continuing conversation. “I am a dispatcher for the All-American Transport Company,” she continued. “We have a load of kosher meat held up by the storm that needs to be washed by 11 p.m. Saturday.” My caller, located somewhere in the Nebraska Corn Belt, was clearly more familiar with halachos of kosher meat than she was with the ramifications of calling a frum household minutes before candle lighting. Although I was very curious how All-American had located me, a potential lone washer in the Wilderness, the hour of the week required expedition, not curiosity. Realizing that under stress, one’s tone of voice can create a kiddush Hashem or, G-d forbid, the opposite, I politely asked if she could call me back in about 25 hours which would still be several hours before the meat’s deadline. I guess that she assumed that it would take me that long to dig my car out. Later, I determined the meat’s ultimate destination, a place we will call Faroutof Town, information that ultimately proved highly important. Why was a Nebraska truck dispatcher calling to arrange the washing of kosher meat? Before returning to our meat precipitously stalled at the side of the highway, I need to provide some halachic background. In several places, the Torah commands that we may not eat blood, but only meat. Of course, blood is the efficient transporter of nutrients to the muscles and permeates the animal’s flesh while it is still alive. If so, how do we extract the prohibited blood from the permitted meat? Chazal gave us two methods of removing blood from meat. One is by soaking and salting the meat, and the other is by broiling it. In practical terms, the first approach, usually referred to simply as kashering meat, involves soaking the meat for thirty minutes, shaking off the water, salting the meat thoroughly on all sides, and then allowing the blood to drain freely for an hour. At the end of this process, we rinse the meat thoroughly in order to wash away all the blood and salt. Indeed Devorah is correct that the salting of all meat involves several washings. She was correct in assuming that the sign she saw in the butcher did not refer to these washings, but to a different washing that I will soon explain. An alternative method of extracting blood from meat is by broiling it. This is the only halachically accepted method of removing blood from liver. In this approach, the liver is sliced or slit to allow its blood to run out, the surface blood is rinsed off and the liver is placed under or over a flame to broil. Accepted practice is that we sprinkle a small amount of salt on the liver immediately prior to broiling it (Rama, Yoreh Deah 73:5). Halachically, it is perfectly acceptable to broil any meat rather than soak and salt it. However, on a commercial level, broiling is impractical and therefore the usual method used for kosher cuisine is soaking and salting. For most of mankind’s history, this was performed at home, but contemporarily the properly supervised butcher or other commercial facility almost universally performs it. Although this explains why one must salt meat before serving it, we still do not know why Ms. Nebraska was so concerned that her meat be washed en route. The Geonim enacted that meat must be salted within seventy-two hours of its shechitah. They felt that after three days, blood inside the meat hardens and is no longer extractable through soaking and salting. Should meat not be soaked and salted within 72 hours, they ruled that only broiling successfully removes the blood. Of course, if one does not want to eat broiled meat, this last suggestion will not satisfy one’s culinary tastes. Is there any way to extend the 72 hours? The authorities discuss this question extensively. Most contend that one may extend the time if the meat is soaked thoroughly for a while during the 72 hours (Shulchan Aruch, Yoreh Deah 69:13, see Taz ad loc. ), although some permitted this only under extenuating circumstances (Toras Chatos, quoted by Shach 69:53). On the other hand, some authorities ruled that a minor rinsing extends the 72 hours (Shu”t Masas Binyamin #108). It became standard to refer to meat that was washed to extend its time by the Yiddish expression, gegosena fleisch, hence the literal English translation, washed meat. Also, bear in mind that this soaking only helps when the meat was soaked within 72 hours of its slaughter. Once 72 hours have passed without a proper soaking, only broiling will remove the blood. “Why would anyone do that?” inquired Devorah? “In general, people like to save work and water, and soaking properly a whole side of beef is difficult and uses a lot of water. In addition, if one hoses meat while it is on a truck, the water may damage the wood of the truck, whereas it is even more work to remove the meat from the truck. But if one does not hose the meat properly, most authorities prohibit it. At this point, we can understand why Ms. Nebraska was concerned about the washing of the meat. She knew that if the meat went 72 hours without being hosed, the rabbis would reject the delivery as non-kosher. During my brief conversation, I asked her if she knew the last time the meat was washed. “It was last washed 11 p.m. Wednesday and needs re-washing by 11 p.m. Saturday,” she dutifully notified me. I then asked Devorah if she wanted to hear the rest of the blizzard story. As I suspected, she did – and so I return to my anecdote. By Motza’ei Shabbos the entire region was in the grips of a record-breaking blizzard. Walking the half block home from shul had been highly treacherous. There was no way in the world I was going anywhere that night, nor anyone else I could imagine. At the very moment I had told the dispatcher I could be reached, the telephone rang. A different, unfamiliar voice identified itself as the driver of the stuck truck. His vehicle was exactly where it had been Friday afternoon, stranded not far from the main highway. The driver told me the already-familiar story about his load of kosher meat, and his instructions to have the meat washed before 11 p.m. if his trip was delayed. There was little I could do for either the driver or the meat, a fact I found frustrating. Out of desperation, I called my most trusted mashgiach, Yaakov, who lived a little closer to the scene of the non-action. Yaakov was an excellent employee, always eager to work whenever there was a job opportunity. I explained the situation to him. I was disappointed. Not that I blamed Yaakov in the slightest. It was sheer insanity to go anywhere in this storm. In fact, I was a bit surprised at myself for taking the matter so seriously. After all, it was only a load of meat. With no good news to tell the trucker, I was not exactly enthusiastic about calling him back. I hate to be the bearer of bad tidings. So I procrastinated, rather than tell the trucker he should sit back and wait for his kosher meat to expire. An hour later, the phone rang again with Mr. Trucker on the line. “Rabbi,” He told me, with obvious excitement in his voice, “I’ve solved the problem.” I was highly curious to find out where he located an Orthodox Jew in the middle of a blizzard in the middle of nowhere. For a fleeting moment I envisioned a frum Jew stranded nearby and shuddered at the type of Shabbos he must have had. The trucker’s continuing conversation brings me back to the reality of the unwashed meat. “No, I am sure that won’t be necessary,” I replied. I was not about to tell the driver that halachah requires that a Torah observant Jew supervise the washing of the meat. On the contrary, I complimented him on his diligence and his tremendous sense of responsibility. At this point, I had a bit of halachic responsibility on my hands. Since I knew the meat’s ultimate destination, I needed to inform the rav in Faroutof Town of the situation. I was able to reach the Faroutofer Rav, Rabbi Oncelearned. “I just want to notify you that your city will shortly receive a load of meat that was washed under the supervision of the ‘Fire Station K.’” Rabbi Oncelearned had never heard of the “Fire Station K” supervision and asked if I was familiar with this hechsher. I told him the whole story and we had a good laugh. I felt good that I had supplied Rabbi Oncelearned with accurate information and prepared him for the meat’s arrival. After all, it would be his learned decision that would rule once the meat arrived in town. Of course, Rabbi Oncelearned now had his own predicament: Would he have to reject the town’s entire order of kosher meat, incurring the wrath of hungry customers and undersupplied butchers? Or could he figure out a legitimate way to permit the meat. There was indeed a halachic basis to permit the meat under the extenuating circumstances because of a different heter, but not because of the Lincoln fire station hose. It is common that meat is slaughtered quite a distance from where it is consumed – such as slaughtering it in South America, and shipping it frozen to Israel. Today, all mehadrin supervisions arrange that meat shipped this way is kosher butchered (called trabering) and kashered before it is frozen and shipped. This is a tremendous boon to proper kashrus, but it is a relatively recent innovation. Initially, these meats were shipped frozen and, upon reaching their destination several weeks later, they were thawed, trabered and kashered. Thus, the question developed whether this meat was fit to eat since it arrived weeks after its slaughter. In truth, earlier halachic authorities had already debated whether meat frozen for 72 hours can still be kashered by salting, some contending that this meat can only be broiled (Minchas Yaakov, Responsum #14 at end, quoted by Be’er Heiteiv 69:8; Pri Megadim, Sifsei Daas 69:60), whereas others ruled that deep freezing prevents the blood from hardening (Aruch HaShulchan, Yoreh Deah 69:79; Yad Yehudah 69:59; Shu”t Yabia Omer 2:YD:4 and Shu”t Yechaveh Daas 6:46). Some frowned on making such arrangements lechatchila, but ruled that kashering this meat (by salting) is acceptable under extenuating circumstances (Shu”t Igros Moshe, Yoreh Deah 1:27; 2:21). Rabbi Oncelearned consulted with a posek who reasoned that since the truck had been stuck in a major blizzard, unquestionably the meat had been frozen solid and that they could rely on this to kasher the meat after it thawed out. Thus, the firemen’s hose was used for naught, but I never told them. Please help me keep it a secret. Someone meticulous about kashrus plans trips in advance to know what hechsherim and kashrus situations he may encounter. If one’s plans go awry, he should be aware that in extenuating circumstances, a rav may permit products that he would never allow in a normal situation.